A vacancy, one year anniversary celebrations, an amazing CQC report ... it's all happening here! We have a part-time vacancy available for 3 days a week, for a qualified dental nurse whose role will involve both nursing and reception work. If you or anyone you know wishes to apply, please download the recruitment pack available on the Vacancies tab, and return it to us with your CV. A couple of months ago we celebrated our one year anniversary, and we were delighted that so many of you could come in and enjoy the 300+ miniature cupcakes we had on offer. A huge thanks as well to our friends at Sticky Fingers Bakehaus in Hanham, who also made us a fantastic tooth shaped cake. There's a picture in Kay's October newsletter. On 6th September we had a comprehensive inspection by the CQC, the Care Quality Commission to ensure the services we provide meet all their fundamental standards. They inspected the surgeries, poured through our paperwork, checked our systems and sterilisation processes, interviewed our staff and patients, and at the end of the day they went away very impressed. We are thrilled with the report they compiled after their visit. There will be a copy available to view in our waiting area, and it can also be downloaded from the CQC website here. In other news, the practice continues to grow, and in February Anthony will be adding another day to help us accommodate the new patients to the practice. We strongly recommend that you make an appointment to see him and be added to his list if you would like to join the practice, as we envisage him filling fast. If you would like to book in to see him as either a Denplan or a Private patient, do call our receptionists on 0117 990 2215 or e-mail them at info@hallowsdental.com and they will be delighted to register you with him and make an appointment. Finally, Kay has just released her latest newsletter for you to enjoy! Anthony Glover is joining our practice! We are absolutely thrilled that Anthony Glover is joining our practice. We all worked together for 13 or so years at Longwell Green Dental Surgery. Anthony is currently at Charlton Park Dental Surgery in Keynsham where he treated James last year! He will be transferring to us towards the end of July. 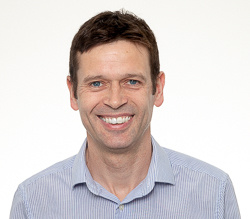 If you would like to book in to see him at our practice as either a Denplan or a Private patient, do call our receptionists on 0117 990 2215 or e-mail them at info@hallowsdental.com and they will be delighted to register you with us and make an appointment. In the meantime Kay has been busy with her newsletters again. Read the latest newsletter now. We have looking to recruit two more wonderful nurses! We are very sad to be saying goodbye to one of our lovely nurses Katie, who has been with us from the very start. Katie is relocating down to the coast and we wish her all the best with the next adventures in her life. We are therefore looking for a nurse to join us at the end of May / beginning of June. 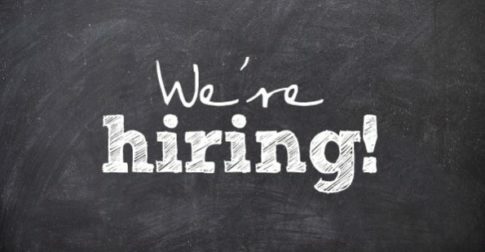 As well, we are looking to recruit an additional qualified dental nurse to join our vibrant team, as we develop the new surgery. More details can be found in the Nurse Recruitment Packs which can be downloaded from our Vacancies section of the website. Spring has arrived and we're starting to think about surgery no. 3! We are very keen to have another dentist in the practice this year. We have been overwhelmed with the number of previous and new patients registering at the practice, and we continue to grow at a rate beyond our expectations. At some point, we are not going to be able to see new patients as our lists fill. It therefore makes sense for us to look at developing the next surgery upstairs and starting the process of finding a dentist with similar ethics and skills, who we feel would look after patients exactly as we would. This will also help us personally by freeing up some time in the day for our admin time, which at the moment is something we do in our evenings and weekends. This and more in Kay's April newsletter. It's an amazing feeling, and actually quite an emotional one, to be seeing our first 6 monthly appointments from previous and new patients alike. We've had a fantastic first time since opening, rekindling old friendships and making new ones. 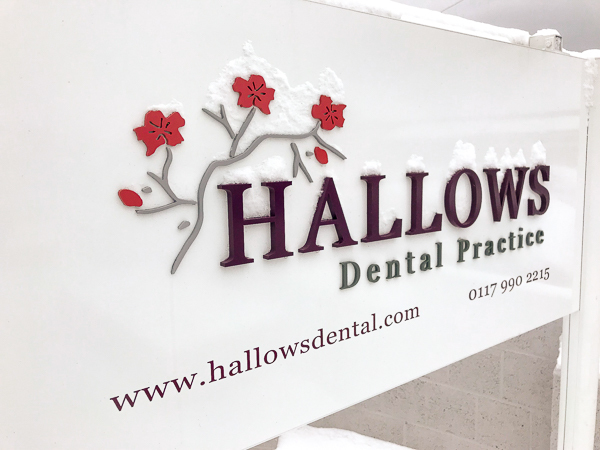 The practice continues to grow from strength to strength, and even though the weather proved interesting with two bouts of snow, we were open, fully staffed and seeing new patients. Not bad at all! Kay continues to be busy with her newsletters. The March newsletter is now available to read. The practice continues to grow, attracting former and new patients at a healthy rate. Thank you everyone for spreading the word. :) We are trying to see new patients as quickly as we can but do bear with is if you're having to wait a few weeks. Thank you to everyone who answered our call for more online reviews. We now have 12 on Google and 24 on Facebook, including one with some great before and after photos! Everyone has given us top marks, and they also get added to this website which now has over 250 testimonials! We are thrilled to announce that one of our team is getting married later this year! Our receptionist Kim will marry fiancé Paul in October in the Forest of Dean and we couldn't be happier for them. Congratulations both, we can't wait to see you tie the knot! Kay continues to be busy with her newsletters. The February newsletter is now available to read. Normally January can be a quieter period for dental practices. We were expecting to see things settling down therefore but that's far from being the case for us. On one day in the first week, we signed up 17 patients! Kay has been busy with her newsletters. If you've missed them here's the January newsletter, which has a photo of a painting of the practice one of our talented patient's gifted to us last week. I'll also share the link to the December newsletter as it contains a heartwarming story about the bench at the front of our practice. We are excited to announce that we have started registering patients and are in the process of contacting those of you on the mailing list, to make appointments and assist with Denplan transfers. Initially we will start with those of you on the mailing list who’ve provided your phone numbers and requested we contact you. We will be opening our doors to patients on Monday 18th September. If we are unlucky and our CQC registration is delayed, the practice will still be open from the 18th for administrative duties. Details on how to register are in our latest newsletter. a) Cancel your Denplan by Friday 8th September. b) Notify us, so that we can send you some paperwork to complete and return to us by the 26th of September. c) That's it! There's no transfer fee and we will do the rest with Denplan. You will notice that the website is evolving as we get closer to our proposed opening date. "When is that" I hear you ask? We are aiming to open on Monday 11th September. Before we can do so, we need to be registered with the Care Quality Commission and they are visiting the practice this week. We still have some work to do in the practice (mainly painting and stocking the surgeries) as well as some staff training. If all that goes well, we will be in a position to notify you of the registration process very shortly. In the meantime, if you haven't registered on our mailing list, and if you want us to phone you to arrange an appointment when we are able to, then please do add or update your details accordingly. We have been incredibly busy, working 7 days a week and very long hours. A great deal has changed at the practice. We have a superb team of builders and associated trades who are now onsite 7 days a week to, so that we can stay on schedule for opening the practice in the first week of September. The practice has been completely redesigned and rebuilt from the inside, and everything except the outside walls and roof trusses is new. And we really do mean, everything! We aren't just creating a brand new business ... we're also creating a brand new building. This has become a kind of Grand Designs project for us! Our lovely staff are now all appointed and they join us at the practice on the 14th to commence their training. Later this month, the Care Quality Commission (CQC) will be visiting who have the responsibility of checking that the practice and its staff meet their requirements. We're very much looking forward to showing them and all of you what we've achieved! So, when can you register and make an appointment? Well, we have to wait for the sign off from the CQC, so sometime towards the end of August. But in the meantime, those of you who've registered on our mailing list, we're inviting you to update your details and add your phone number, so that our receptionists can call you when we're able to book you in. There's a link in the latest newsletter Kay's sent out. Alternatively, if you haven't subscribed to our mailing list yet, you can do so from the "Join our mailing list" section of this website. Any problems, feel free to contact us and we can add your phone number to your mailing list details. We are very much looking forward to seeing you all again, and if you're new to us, meeting you for the first time! We have had an incredible response for our previously advertised positions. Thank you all for sharing the adverts and Facebook posts, and to everyone who's applied. In less than a month we have had over 400 enquiries and 220+ CVs/application forms received. We have made the decision to stop advertising and no longer accept any further applications. We are currently intervewing candidates and we would expect to be in a position to select our team shortly. Did you receive out second newsletter? No? Then that means you're not subscribed to our mailing list. Do subscribe! That will be the best way to stay informed of our progress and you will hear first when we are in a position to register you as a patient. We are being inundated with requests for appointments and so we strongly advise that you sign up to the mailing list. In case you missed our newsletters, here they are, our: first and second newsletters. We are very excited to reveal our new logo! It was designed by James and incorporates Kay's love of cherry blossom and her favourite colour maroony purple in the main text. In designing the logo we were very keen not to have anything dentally related in the graphic. It's quite common for dental practices to use a tooth inspired logo but it's not something we were keen on. We wanted to keep our logo friendly and have some meaning to us. We hope you like it as much as we do. Wanted: dental receptionists and nurses! We are now starting to recruit staff and are looking for receptionists and qualified dental nurses to help us get off to a flying start and make this a practice we will all be proud of. Full-time and part-time roles are available with excellent rates of pay. More information is on our Vacancies page. 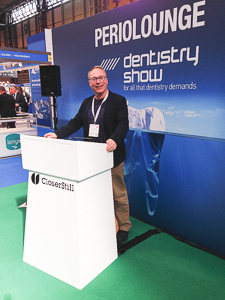 We spent two exhausting days evaluating equipment and talking to the various engineers and reps at the Dentistry Show this weekend. It's quite a mammoth task kitting out a dental practice and with equipment costs for our practice approaching £200k, we need to ensure we're spending our money (more accurately, the bank's!) wisely. It's quite enjoyable watching a sales rep's eyes widen when your answer to their question: "What do you need" is "Everything". There will be no cost incurred in transferring to us. The process will be simple. Denplan have offered to spend a few weeks in our practice to help patients with the transfer. There will be no break in your cover. We can complete the paperwork before we open to make sure any transferring patients are covered with us as soon as we’re up and running. This can be done over the phone or by popping into the practice at sessions during the day, evenings and weekends. We will also be inviting private patients to register early. 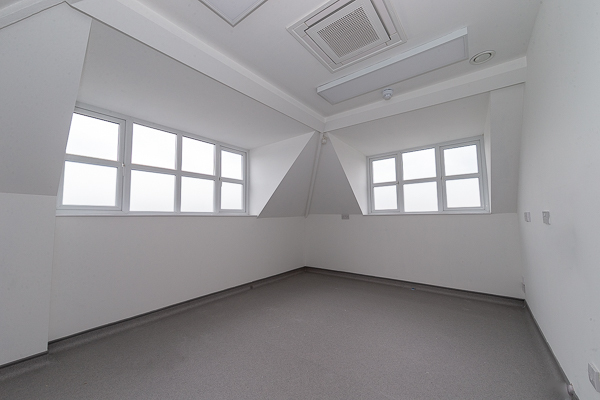 All registered patients will be offered the opportunity to book appointments prior to opening. We do hope you will come and visit the practice before we are open as we are looking forward to showing you around then! 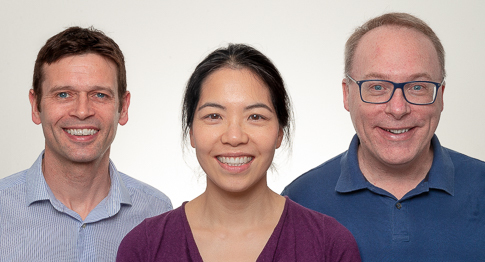 Our solicitors, Veale Wasbrough Vizards have published this article relating to the purchase of our practice, which has subsequently been published by The Dentist and InsiderMedia publications. All good advertising! Today we were delighted to welcome Dentaid to the practice. Dentaid are a charity that help provide dentistry around the World, particularly in areas where there may be little or no dental provision. 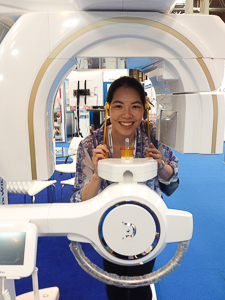 As part of this, they recycle surgery equipment to use abroad. The equipment we purchased with the practice we didn't consider to be suitable for a modern surgery, but it was still functional, well built and useful. We were therefore delighted to be able to help Dentaid who came to remove the 5 dental chairs, lights, X-ray equipment, a variety of dental instruments and a plentiful supply of bacon butties for the journey home! A lovely reaction on Facebook. Thank you all! So, what happens now? The next hurdle is to acquire finance from the banks. We are planning on gutting the building completely, changing the internal walls to improve the layout, replacing completely all the services (electrics, dental pipework, heating etc. etc.) before being in a position to refurbish. That will take several months after the plans are finalised. In the interim period, we have to start the registration process with the Care Quality Commission, which normally takes 3 - 4 months. So when will we be seeing patients again? We think it's prudent to say sometime in summer. It's not possible yet to narrow that down to a date. Stay tuned! We have just bought the practice!!! We've done it! 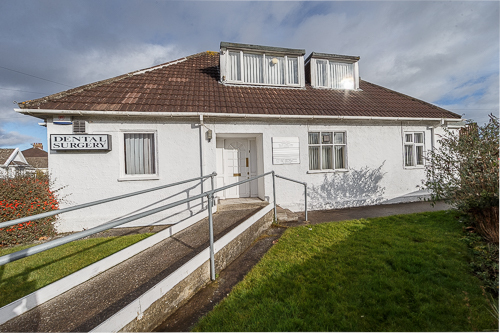 After a rather protracted purchasing experience, we are in possession of the keys to our new practice, and an exciting future not only for us, but also for your future dental care. We are in the final stages of purchasing a practice. The practice is located in Hanham in Victoria Road, and offers 4 surgeries, with ground floor access, in a quiet residential area behind Lidl and Shaunaks Pharmacy. Once we own the practice, we will gut it, reconfigure the internal layout working in close collaboration with Paradigm Dental Practice Designers, before refurbishing and fitting it out with the latest in Dental equipment. Our current plans are to open in Summer, 2017. We will keep this page, and the mailing list, updated with our progress. It's been fantastic this year. Thank you for those of you who've found us and sent e-mails, texts, phone calls, messages, shared coffees and offered up testimonials! We have had a fantastic year, spending a fair amount of time in Malaysia where we were able to work with a charity offering dental care to the homeless and less fortunate. There are some pictures online, such as this one on Facebook. 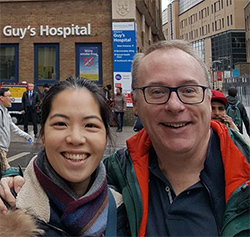 Kay's family came over from Malaysia to visit us in London, and we had a fantastic tour of Guy's Hospital where we trained, hence the picture here! We've been asked what our plans are for next year. Let me reassure you that we will be back working in the area sometime in 2017. On this website come January, you can follow our progress or if you prefer, you can contact us to be kept abreast of our plans. If you would like to be placed on our mailing list, do submit your details in the section on the right.